Our experience, industry knowledge, and customer input drive the evolution of our product. With our enterprise-class offender management system, Elite NextGen, and our unrivaled corrections expertise, Syscon delivers robust and dependable solutions. We enable collaboration, efficiency, and risk reduction in the unique and ever-changing corrections environment. We support our comprehensive offender management system with a team of industry experts. We provide business analysis, software implementation, training, project management, technical support, and more to our clients across the world. The largest, busiest, and most complex corrections agencies in the world rely on Syscon Justice Systems. With over 35 years working with corrections agencies, our software helps our clients reduce risk and make a positive impact on public safety. 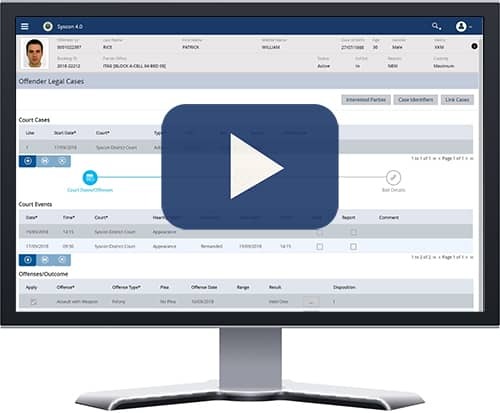 Elite NextGen’s fully-integrated case management tools provide complete coverage for all corrections processes. Download our module overview to see what Syscon can do for your agency. Syscon is Heading to ICPA 2018 in Montreal! https://syscon.net/wp-content/uploads/2018/09/ICPA-Post.png 630 1500 sysconjustice https://syscon.net/wp-content/uploads/2018/09/Syscon-Logo-S4-colors-180x180.png sysconjustice2018-10-18 09:00:292018-10-25 18:18:57Syscon is Heading to ICPA 2018 in Montreal!